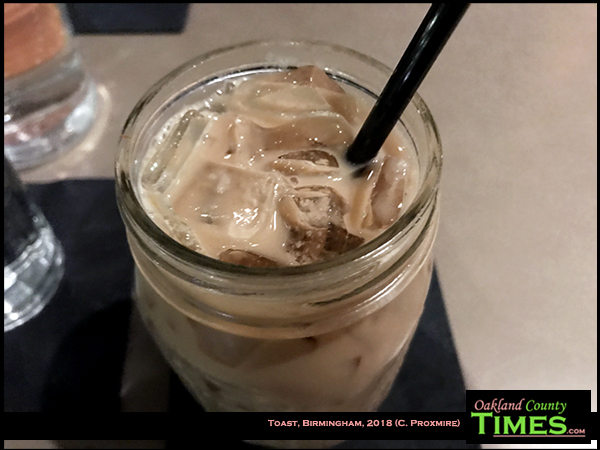 Birmingham, MI – On a chilly winter evening a friend and I had a delicious warm meal at Toast in Birmingham. The bacon fried rice was a beautiful dish with a variety of toppings that my friend had. 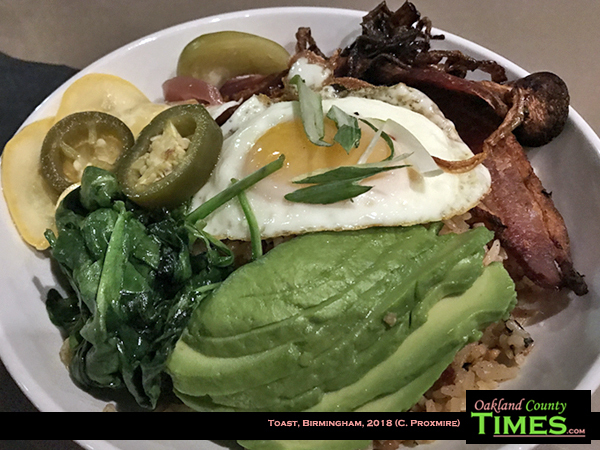 It was perfectly cooked jasmine rice topped with bacon, pickled vegetables, onion strings, spinach, and a sunny side up egg in the middle. I don’t think I’ve heard anyone say “Mmmm,” and “This is really good” so many times in one meal. I had the “cozy cassoulet,” which is a dish that originated in the South of France. 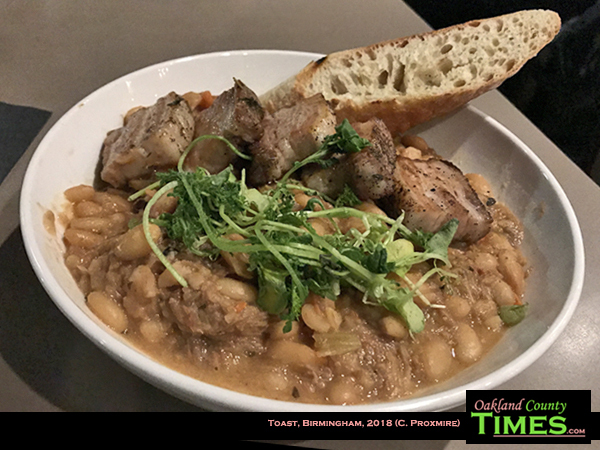 Toast’s version had a giant serving of white beans topped with thick pieces of pork belly. This simple and hearty dish was delightfully filling. My friend drank what is labeled on the menu as “Hipster Water,” aka Pabst Blue Ribbon. I had the “Root Beer Guy,” which was a yummy mix of Rebel Yell Root Beer Whiskey, Kahlua and cream. Check out more of what Birmingham Toast has to offer at http://www.toastbirmingham.com/.